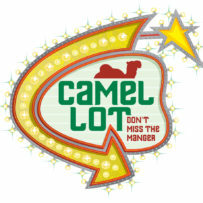 Join us for the HCA Elementary Christmas Program “Camel Lot” on Wednesday, December 5th at 7pm. Beth has been practicing hard for the church Christmas pageant. Her Dad (who runs a car dealership) may be too busy with Christmas car sales to make it to the program. Exhausted from practice, with lines from Luke 2 swirling in her mind, she drifts off to sleep. Transported by Beth’s imagination (and a sound effect or two!) we all “wake up” in Bethlehem on a very special day, and in a most unusual place – the Camel Lot! It doesn’t take long, inside Beth’s topsy-turvy dream world, to encounter camel shoppers, sales people, shepherds, wise men, and a very familiar story, told in a fun and refreshing new way! Join us for the performance via live stream on our YouTube channel or Facebook!